This thing was insane. 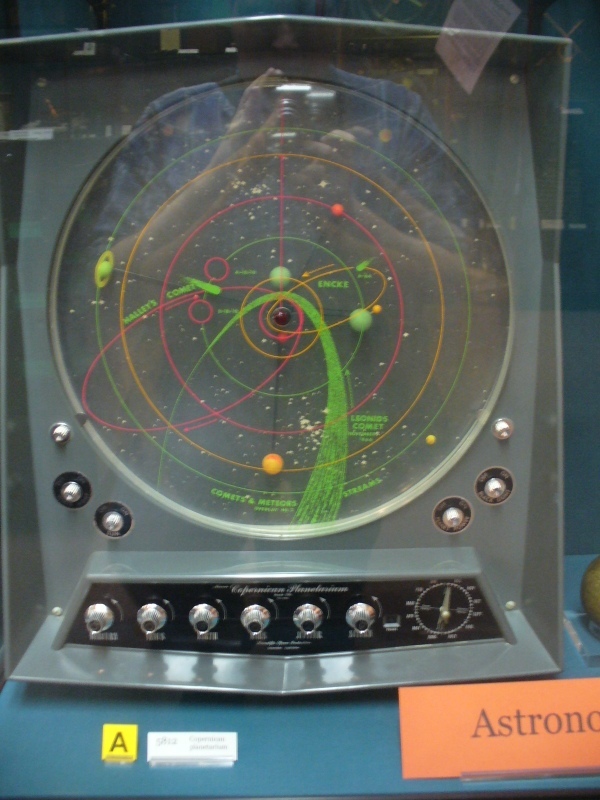 It was clearly made in the 50s or 60s, but it's basicaly an orrery. It's like the opposite of cyberpunk. This document (source) is part of Crummy, the webspace of Leonard Richardson (contact information). It was last modified on Thursday, December 31 2009, 15:19:24 Nowhere Standard Time and last built on Thursday, April 25 2019, 14:00:38 Nowhere Standard Time.